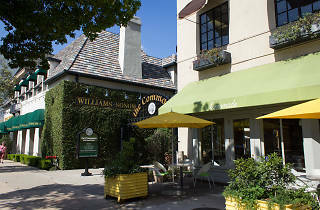 Why is there an English courtyard in the middle of Pasadena? Who knows, but we're not about to complain about having a Lemonade in the neighborhood. Hit up SECO on the other side of the fountain and fire pit—and soon Sugarfish—for dinner and drinks, or head across Shoppers Lane to the Counter and Green Street Restaurant. 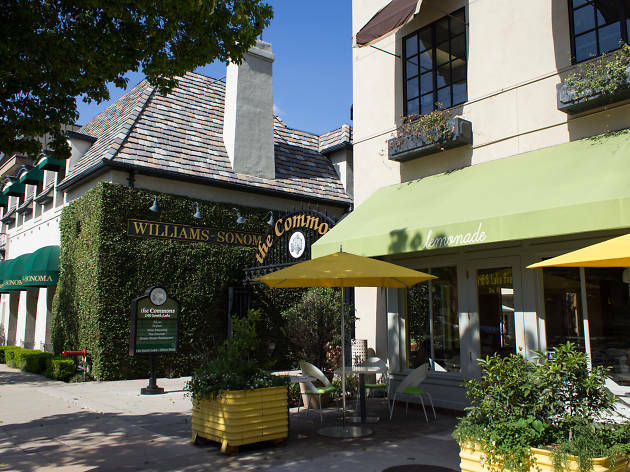 An ivy-covered cottage from 1912 (now a Williams-Sonoma) anchors the area, which is rounded out by a SoulCycle and a pair of salons.